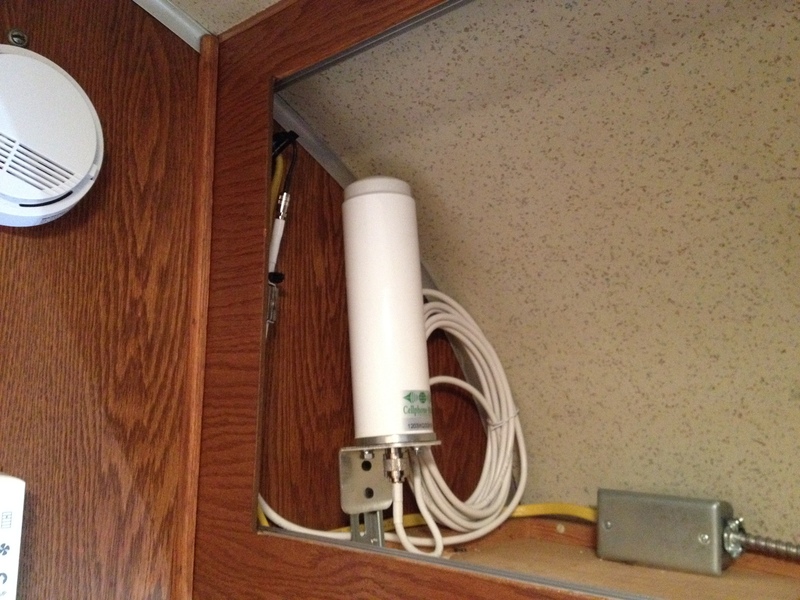 Installing the 3G antenna | 1960 Airstream Ambassador Blog! 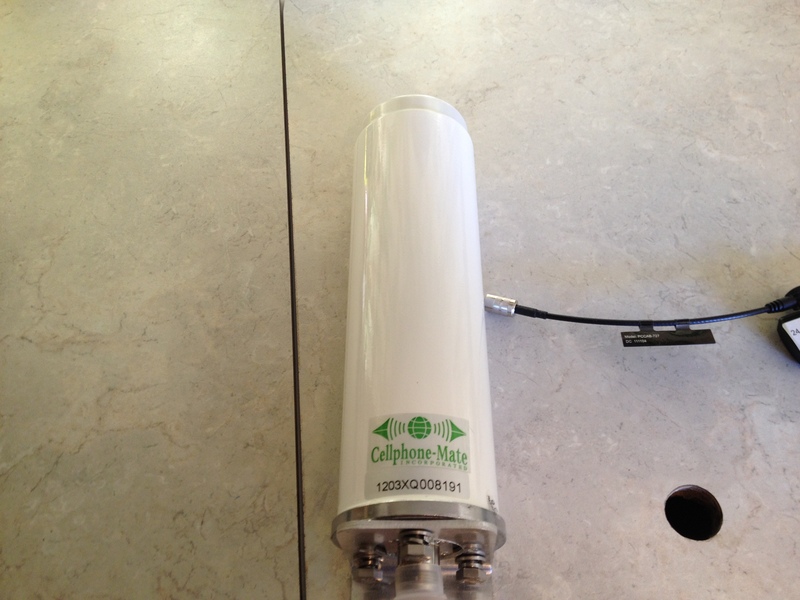 As I mentioned on episode 163, 3GStore.com donated a 3G/4G antenna for our trip. They included the adapter cables that I would need as well. Ideally you would mount this outside. But I really didn’t have enough time to do that properly. Also I don’t know that a cell service is something that I will be using for the long term. Here is a photo the the USB modem and adapter cable. 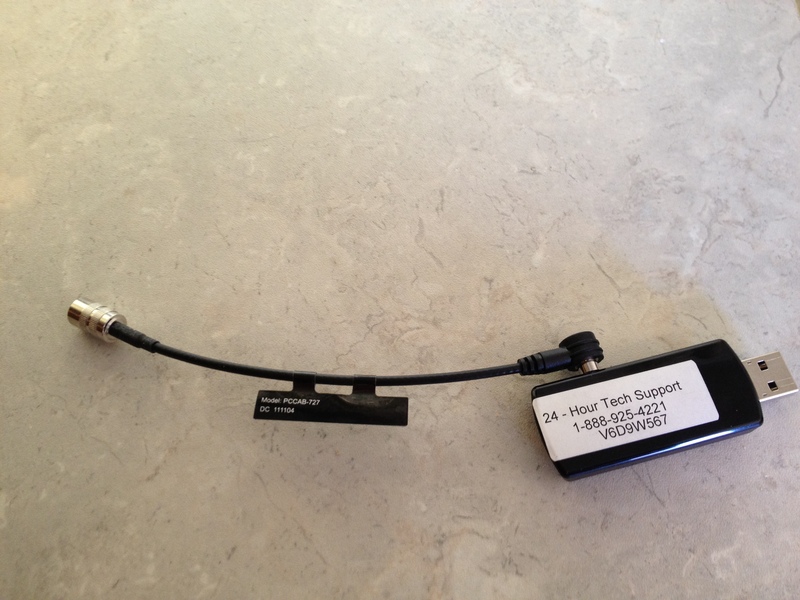 3GStore.com also sends some cable to be able to mount the antenna outside. That cable adapts into the round fitting shown above. The antenna is about 10″ tall. About the diameter of a soda can. 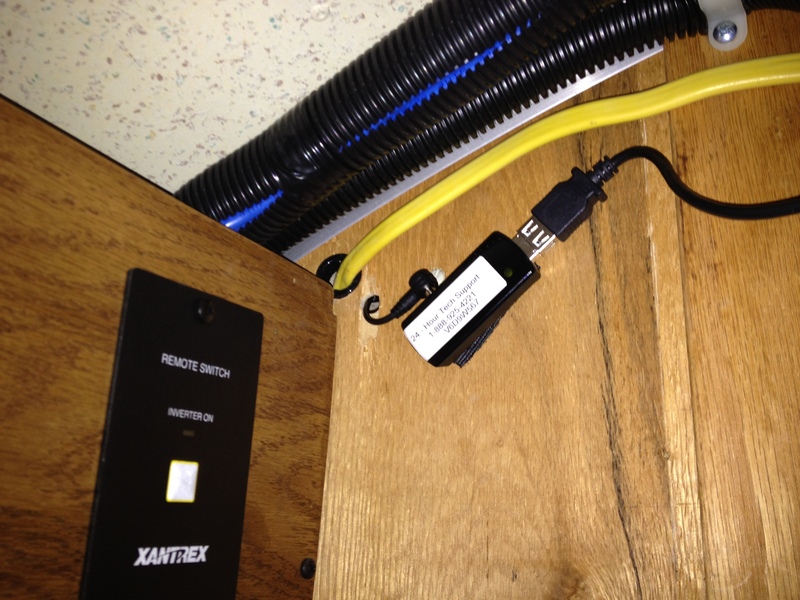 I “mounted” the USB modem with industrial Velcro. I drilled a small hole into the upper cabinet where I mounted the antenna. So here it is in the cabinet. It would be better to cut the antenna cable to length, but I’ll have to run with this for now. It should be better than the antenna built into the modem. This entry was posted in on June 15, 2012 by Tim.